An exhibition contains more than 300 artworks representing modern and contemporary practices, including paintings, multimedia, sculpture and video art. 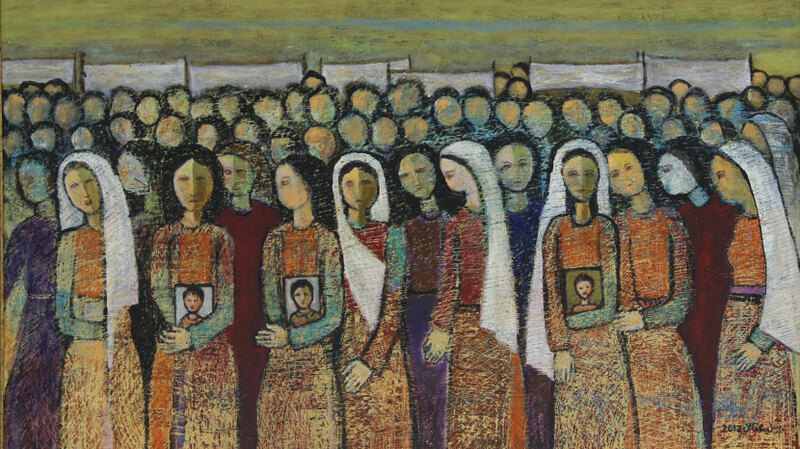 Birzeit University Museum is celebrating the 20-year anniversary of its art collection, which was started in 1994 with a generous donation by Swiss artist René Feurer. "Unlike Other Springs,” an exhibition curated by Vera Tamari, will be showing until June 30 to shed light on the genesis and evolution of the museum's art collection, showcasing the deep and historical relationship between Birzeit University and Palestinian, Arab and international artists. The exhibition contains more than 300 artworks representing modern and contemporary practices, including paintings, multimedia, sculpture and video art. Running alongside these exhibitions will be a series of events, including art workshops, seminars and lectures, meetings with artists and panel discussions, aimed at deepening students’ participation and educating the community about the various representations of art. University President Abdel Latif Abu Hijleh said that the university is dedicated to serving the university community and the greater Palestinian public. "We are committed to a culturally inclusive and interdisciplinary interpretation of art and culture". Museum director Inas Yasin conveyed special thanks to Palestinian researcher and collector George al Amaa who offered two unique gifts to the collection, a painting on glass by Jabra Ibrahim Jabra, one of the main literary and art giants of Palestine, and a landscape drawing by pioneer artist Sophie Halaby. ”Throughout the years, a close relationship between the museum and artists has been solidified, which contributed to achieving our vision of offering an intellectual platform for active debate on contemporary art production and practice," Yasin said.